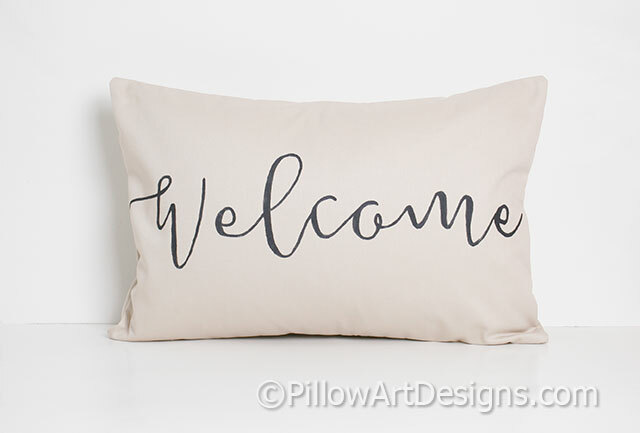 Welcome pillow, lumbar measures 12 X 18, polyester insert included. 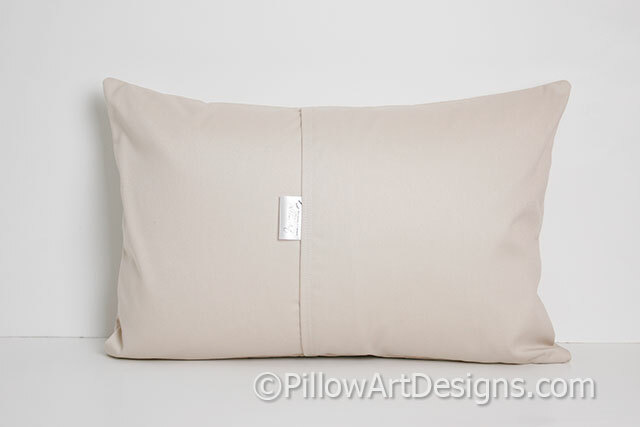 Outer fabric sand beige cotton polyester twill, fully lined with white cotton polyester. 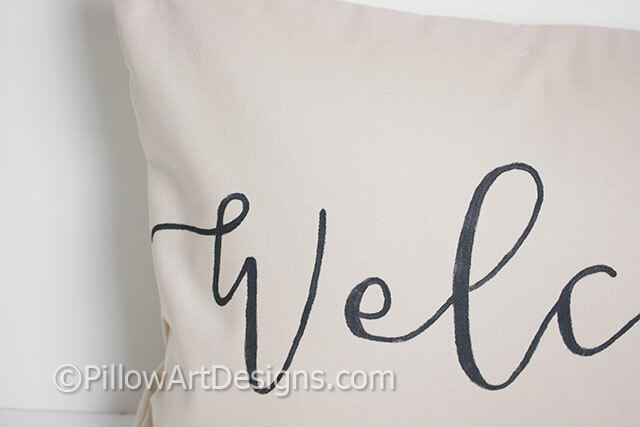 Painted in black non-toxic fabric paint, will not wash off, flake or rub off.